Betty Jean Smith, 93, of Greenfield, passed away peacefully at home on Wednesday, January 30, 2019. Betty was born April 4, 1925 to Harry Schiller and Clara (Compton) Schiller in their home on Ludlow St in Greenfield. She graduated from McClain High School in 1943. 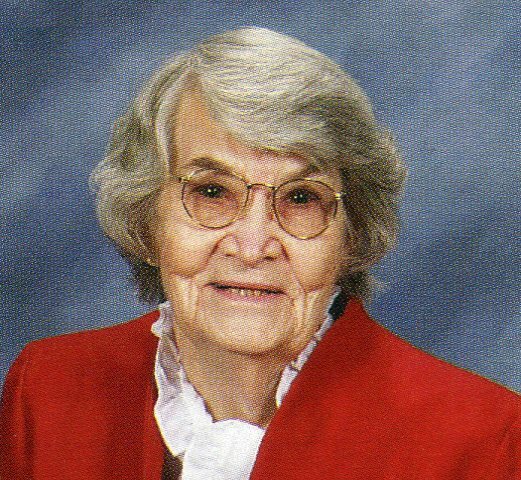 Betty took great pride in her family, home and community. She grew up in Greenfield with her four older sisters; Edna, Irma, Clarice and Helen. She eloped with her McClain High School sweetheart Donald D. Smith on January 3, 1946 after he returned from active duty in WWII. They were married for 55 years until he died in 2001. Together they constructed their home on Dunlap Lane. They raised three children; Don, Pam and Jenny who brought them seven grandchildren and six great-grandchildren. She loved having the little ones around and holding her babies. Betty also very much enjoyed the family picnic and reunions. Many of you will remember Betty (perhaps as Mrs. Smith) from the cafeteria of the Greenfield Schools where she worked for 25 years. She prepared wholesome meals from scratch and also worked on the lunch line collecting tickets from the students. Betty helped the community by volunteering at the Greenfield First United Methodist church where she prepared food for social events and taught Sunday school. She along with her husband until his passing volunteered for 21 years at the Greenfield Area Christian Center where she helped provide food thru the food pantry to those in need. Betty sure kept a lot of people fed in her time! Betty enjoyed nature. She loved birds especially the cardinals and watching them at her feeders; growing and looking at her beautiful flowers; and was an animal lover especially of kitties and dogs. Other activities she enjoyed were quilting and sewing which she did from a young age, making her clothes and later even made her daughters’ wedding dresses. She was preceded in death by her husband Donald, her son Donald Jr., her sisters Edna Houseman, Irma McCoy, and Clarice McCoy. She is survived by her sister Helen Grim (of Greenfield), her daughters Pam Demmer (of Massillon Ohio) and her husband Paul, and Jenny Patskan (of Powhatan Virginia) and her husband George, her son’s wife Susan Smith, seven grandchildren (Casey Smith, Christopher Smith, Ben Smith, Ken Demmer, Matt Demmer, Becky (Demmer) Jasper and Nathan Patskan and six great-grandchildren and her kitty Tommy (AKA Butter). Betty also had her angels who loved and helped care for her over the last few years. She will be dearly missed by her family and friends. A funeral service will be held at 2 p.m. on Thursday, February 7, 2019 in the Greenfield First United Methodist Church with Pastor Kevin Hall. Following the funeral service, Betty will be laid to rest in Greenfield Cemetery beside her husband, Donald. Relatives and friend may visit with Betty’s family at the the church on Thursday from 12 noon until the time of the service. There will be a reception following the graveside service at the church. Memorial contributions can be made in memory of Betty to the Greenfield Area Christian Food Pantry, 912 N. Fifth Street, Greenfield, OH 45123.